STEM stands for SCIENCE, TECHNOLOGY, ENGINEERING and MATHEMATICS. It promotes a collaborative, hands-on approach to learning for students K-12 while focusing on these critical subjects and preparing children's minds for successful futures in these fields. STEAM incorporates the disciplines of ART, Design and Humanities into the ideology of STEM learning by emphasizing creativity through problem solving and critical thinking. EverBlock is the perfect compliment to any STEM and STEAM program and stores compactly in the classroom for use. How can EverBlock® be used in STEM and STEAM Programs? Build and learn, while having fun creating the objects of your imagination. Use to create interactive learning experiences for students of all ages. Enjoy building, while creating amazing objects and creations that teach students about the principles of design and construction. EverBlock®’s life size modular building block system is a hands-on, fun and educational way to brighten up a STEM & STEAM classroom. Blocks allow children to explore principles of design, engineering, and mathematics in a fun and exciting way. 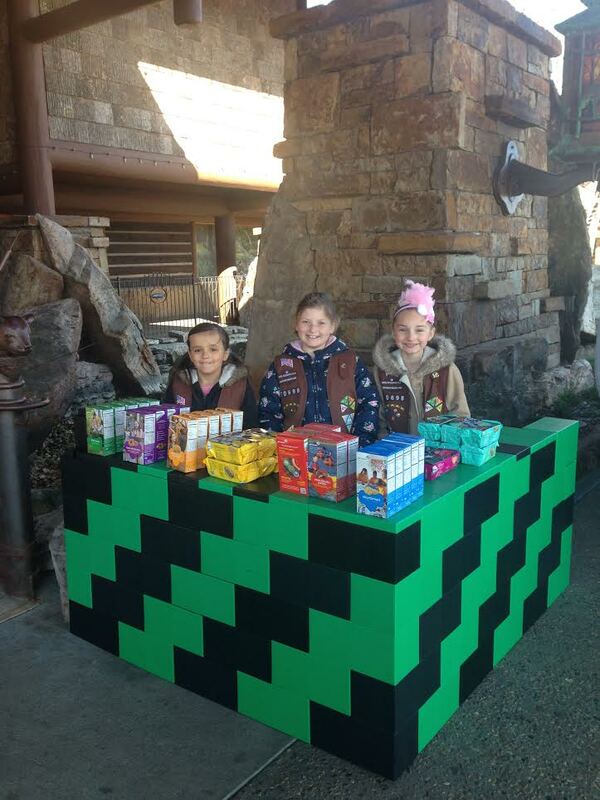 Have fun while learning about mathematics, architectures, and modularity. Imagine your students building bridges, houses, furniture, and endless more creations, all the while learning lateral thinking, how to think in 3 dimensions, and developing their problem solving, organizational , and planning skills. The structural integrity of EverBlock® makes them ideal for collaborative building and engineering projects. 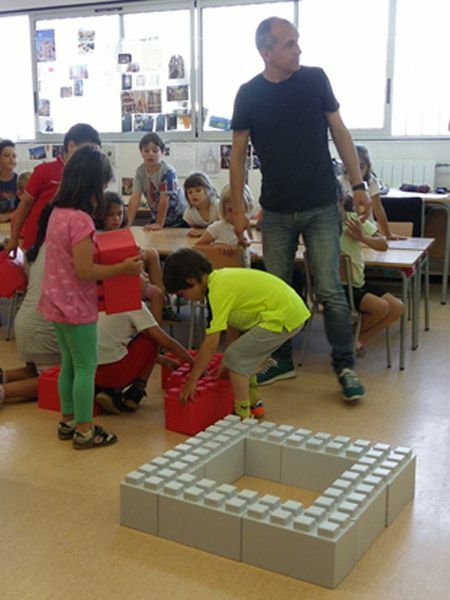 Blocks are light enough for elementary students to work with easily, yet sturdy enough to build full scale, reliable, weight-bearing structures for advanced STEM classrooms. With integrated cable channels in each of the blocks, it is easy to run electrical cables and LED light strips through constructions, enabling you to add features and to incorporate the blocks into all types of science, engineering, and art projects. With 15 colors to choose from, including a semi-translucent block that can be illuminated from within, 3 block sizes and finishing caps, EverBlock offers a great assortment for pattern and design oriented projects. EverBlock can be used to take 2 Dimensional art into the 3 Dimensional world by facilitating the building of sculptures and installation art. EverBlock teamed up with the Pickler & Ben Show to transform this New York City classroom and the kids LOVED it! Special thanks to Kellie Pickler and Ben Aaron and to PS 119!!! There are so many ways to utilize EverBlock in your educations programs as EverBlock is a creative medium for expression and learning. You can decide the program or let students express their creativity and lead the way, all while having fun in the process. Our unique interlocking block system challenges and inspires while allowing you to actually create useable objects such as furniture, wall systems, and classroom decor. 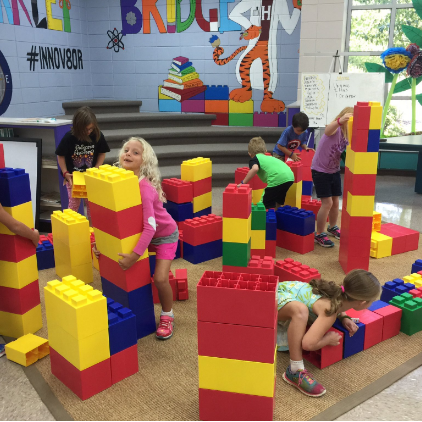 EverBlock is great for fostering an environment of play and learning! EverBlocks can help teach math, color, spatial relations, design, and engineering skills while kids are refining their fine motor control and getting up on their feet. EverBlocks are found in schools and colleges across the world, as well as museums, amusement centers, playgrounds, NASA's Space Camp, and more! We are happy to work with you to create a custom Free Play Set. Just let us know how many kids and what age group, or a rough budget. 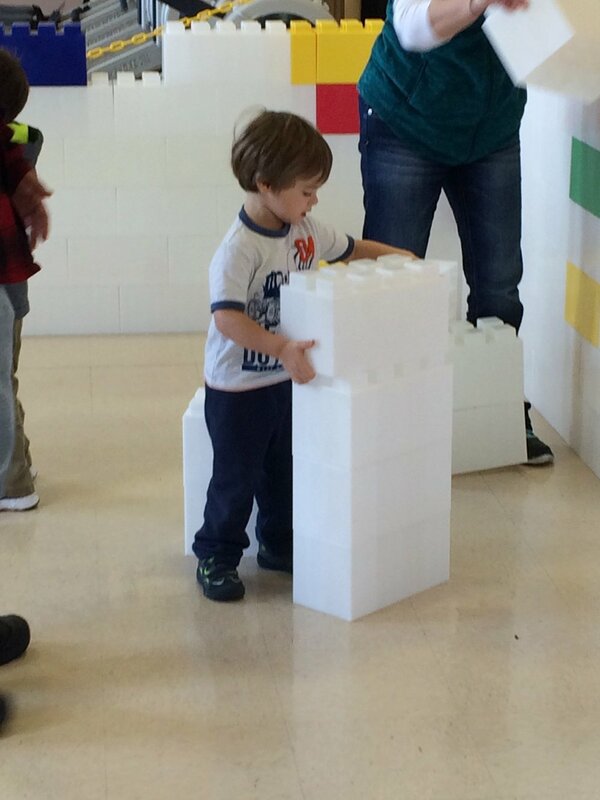 We typically suggest EverBlock for kids ages 5 and up with adult supervision because the blocks are easily used to create structures taller than the kids themselves. 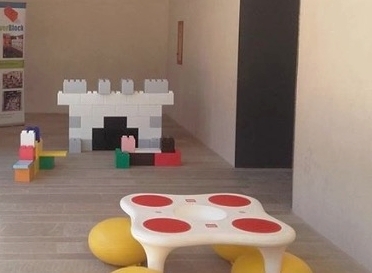 EverBlock Jr. is a great alternative for those who do not require the durability of our heavy duty plastic blocks, but are still interested in exploring the creative power of building in life-size ways. With unlimited building options, kids can use both EverBlock and EverBlock Jr. together to create fun and functional structures and objects.